When you think of technology, what do you think of? Most people would say cell phones, computers, and other transistorized gadgets. But there’s a whole other world of technology out there that’s equally exciting and all too often forgotten by most of us – mechanical technologies. While the history of electronics is short, mechanical technologies have changed the world for thousands of years. For instance, technologies like Archimedes’ screw or the lighthouse of Alexandria were developed before the birth of Christ. But to me, no mechanical technology is quite as interesting as clocks and watches. From the sundial to the Apple watch, man has been interested in the passing of time. And while it’s easy look at smart watches as an engineering marvel, they’re really not much different from a phone or tablet in extreme miniature form. In fact, smart watches are far less exciting – technology wise – than many of the analog watches out there today. For instance, the Citizen Navihawk watch is able to set the time based on radio signals from around the world, runs on solar power, contains a circular slide rule, and shows time in multiple timezones. Containing 5 different dials and 8 hands, just looking at the watch in action is fascinating. Another interesting Citizen watch is the Altichron. While having far fewer dials than the Navihawk, it offers something even more practical – a compass and altimeter. Of coarse, there are countless other mechanical engineering marvels out there – such as automatons and mechanical robot hands. Even more exciting? The union of electronic technology and mechanical technology! Components such as reed switches and tilt switches use mechanical means to interact with electronics. Mechanical hands wired with servos allow us to create machines that can interact with the world in the same way we do. So, as we as a nation continue to focus on STEM, let’s not forget that it’s not just about electronics! The technology behind mechanical objects is just as exciting and indeed it’s the union of mechanical objects and electronics that will take move us into the future! What is the most important asset of any organization? Is it their physical property – buildings, computers, and desks? Is it their capital reserves in the bank? How about their portfolio of intellectual property? While all of the above items are important, they pale in comparison to the value of their people. An organization’s employees take care of and use the physical property, spend capital to fund activities to grow the business, and exploit intellectual property for economic gain. It’s the people who make it all happen – without them, everything else is just an inanimate object. Unfortunately, people like Jack Welch failed to see their value and changed the market to see people as nothing but another expendable resource. In the eyes of people like Jack Welch, people are no different than the wood used to make a door, the plastic used to make a consumer good, or a glob of solder used to make electronic goods. People became a commodity instead of human beings. How has this impacted the workplace? We see more and more that people don’t work for an organization for very long. Changing jobs every few years is increasingly popular. Of course, this is only logical – why would you want to work for an employer who didn’t value you as a human being? Businesses do whatever it takes to keep employee pay as low as possible while increasing the CEO’s pay. When annual raises come due, the lower the number the better. Employees quickly see that if they want to get ahead, they will need to find another job making more. What if employers gave raises as if each employee was a potential new hire and they wanted to ensure they took the offer? What would happen if the business world changed to value people over profits? What if companies placed their people first – ahead of profits, ahead of the customer, and ahead of the shareholder? Sounds radical, but companies who have implemented such policies have seen higher employee retention and greater employee happiness. But most importantly, that greater happiness directly translated to happier customers who then engaged in more business with the organization and improved shareholder value. Countless books on the topic of servant leadership and employee-focused business models exist, and they all show the exact same thing – employees who feel valued are more productive and happier to be at work. A book I recently read said that – as a small business owner – I need to “fall in love with my customer”. The notion is that I should treat my customer like they are the most important thing on earth. Treat them like I treat my wife. Treat them as if I want nothing more than to spend time with them. When I treat my customers that way, my customers won’t want to leave. That same idea applies to employees – what if businesses treated their employees like they loved them? One of the biggest trends in the software world over the last decade has been the migration to Software as a Service models. For people that are unfamiliar with the Term Software as a Service (abbreviated SaaS), it’s the notion of paying to use software on an ongoing subscription basis instead of purchasing a license for a software application. In the 90’s, users would go to the store, find the software they wanted, purchase the software, and then use that application forever. If a new version came out, the user would have to purchase it individually. Applications like Microsoft Office, Quicken, the Adobe product suite, and others would come out with new versions every few years, and users would have to shell out the cash for each new version or continue to use the old version. For many applications, this quickly became cost-prohibitive. For example, some applications may cost hundreds or thousands of dollars. During the last decade, that model has changed. And, while many complain about paying monthly for software, it’s actually a great benefit for the user. For example, I have a subscription to the Adobe Creative Cloud that costs me around $50/month. With that subscription, I have access to every single Adobe application out there. Likewise, Microsoft Office now costs around $100/year for the entire application suite. This lower cost means that I have access to software that I couldn’t previously afford. Furthermore, I automatically get all updates. No longer do I need to buy each new version when it comes out. Instead, updates are automatically installed on my computer. In the end, I get the most up-to-date software at a fraction of the cost I used to pay. I know some users don’t like paying monthly for an application. But for me, the benefit of having all the software I need at a fraction of the cost with access to all future versions included is well worth the monthly fee. One of my favorite technologies is Microsoft’s .Net Core 2.0 framework. Some of the things I love are that it’s cross-platform, it has an excellent framework for interacting with databases, and their MVC model is straight forward to implement. However, with all that Microsoft has managed to accomplish, there are still some major shortcomings. (Before going forward, let me point out that I develop on a Mac using Visual Studio – so a native Windows user may have a different experience.) For example, while the Entity Framework is amazing – the support for stored procedures is less stellar. After days of searching for solutions, I finally came across a working answer. This is the biggest problem with .Net Core – lack of answers on the web. Or more properly, the lack of the right answer. Look up any question on how to do something using .Net Core and you’ll find a dozen different answers – none of which actually work. This problem was repeated over and over again. When I tried to store a simple session variable, I saw tutorial after tutorial – none of them worked. Next on the list is the NuGet package manager. As a Java user, I have grown accustomed to pulling libraries from a remote repository using Maven or Gradle – so I was happy to see similar functionality for .Net. The problem? It’s impossible to find what package contains the thing you’re looking for. Online code never includes the appropriate imports, so you’re left to guess as to what you need. This problem is exacerbated by the horrible idea of creating class extensions. Every package you import can add extensions to classes in other packages. This sounds great, but in reality it only complicates figuring out what to import. Last, the way you configure the web server is the worst I have ever seen – you configure it in code! Want to use a different port? Hard code it. Need to run the app in a subdirectory? Hard code it. Need to setup database support? Hard code it. So, as the app goes from machine to machine it actually has to be rewritten to support the configuration required on the new server. I have seen various examples of how to use configuration files to accomplish this, but like everything else the documentation is poor and inconsistent at best. In the end, while I do love what Microsoft has accomplished with .Net Core 2.0 and their MVC framework, it still has a long way to go before I would consider it to be able to seriously complete with more mature frameworks. Unfortunately, technology decisions are made every single day by organizations that insist on a language or framework before the requirements are even known. Better options may exist, but lack of knowledge of competing technologies prevents their selection. In the end, projects take longer to develop, cost more, and become increasingly difficult to maintain. 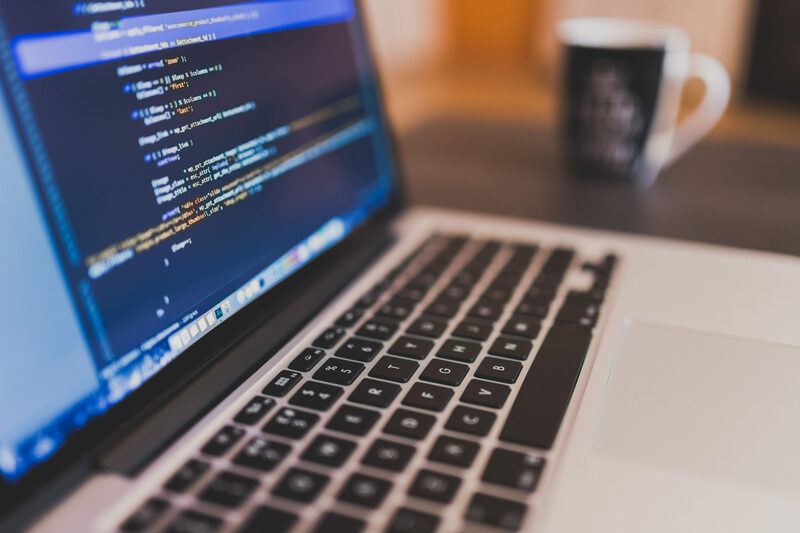 Certainly no developer can be an expert in every technology, but any more senior developer should be able to provide a variety of competing solutions to any problem as well as indicate the pros and cons of each. When the best technology is selected, projects come in ahead of schedule and under budget. Time-to-market is decreased, maintenance costs are minimized, and – in the end – the organization benefits. Numerous times throughout my life I have wanted to write a book. I even have several manuscripts on my computer in various stages of completion. During the last month, I decided to try again. Step one was to decide what I wanted to write about. So, I selected about 10 topics and chose one for my first book. Step two, determine what tool I would use to write my book. A variety of software applications are available including Microsoft Word, Apple Pages, and Adobe InDesign. But one of my requirements is that the format be text-based so that I can easily store the document as well as the history in my Git repository. Initially, I thought that Markdown would be a great format – text-based, easy to store in a source repository, and no special software required. However, after a short amount of work, I realized that Markdown didn’t really support the things I would want for writing. The first issue was with inadequate support for page layouts including images. Other issues followed, and I went back to the drawing board searching for a better alternative. While searching the internet, I found numerous sites recommending LaTeX. I never used LaTeX before, but I do remember seeing it referenced throughout the years on Linux systems. Could this be the answer? Does it meet my requirements? LaTeX is similar to HTML or Markdown. Character sequences can be used to indicate things like the table of contents, a chapter, a section, etc. Additional functionality can be added by using packages to fill all manner of typography needs. The files are text, and can easily be managed by a source control system and edited from any standard text editor. What about the output? I can easily run the LaTeX commands to output my document in PDF format, and I have even read that tools exist for conversion to ePub. When I add new chapters or update existing content, I can have my Jenkins server automatically build the full document and email it to me or publish in any why I choose. While I have only been tinkering with LaTeX for a short time, I have been very impressed with what I’ve been able to accomplish so far and intend to master this amazing tool to create documents and manuscripts.